Hi friends! I just discovered these two very cool maps and wanted to share them with you. 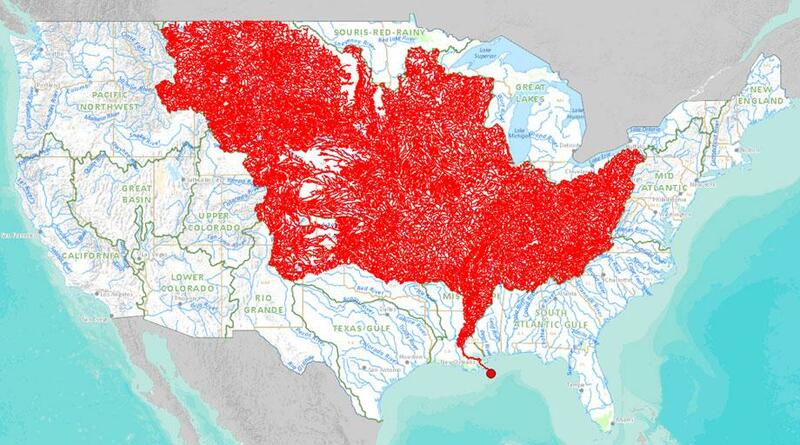 First up is a map of the rivers in the United States, put together digitally by Nelson Minar. For you mappers and computer whizzes, Nelson designed this as a tutorial that can be found here or by going to his Flickr account via clicking the map below. There’s something mesmerizingly beautiful about it, isn’t there? Next is a map submitted to Reddit by user Gradeskee of the rivers in the US that drain into the mighty Mississippi River. So this morning, after a leftover sweet potato-graham cracker muffin, I checked the weather and discovered it to be a coma-inducing 27 degrees outside. (I could have walked outside, I realize, but the pain and shock are easier to handle when you know what’s coming.) Anyway, I noticed a little Google maps radar thingy on the page and wondered in passing what the weather is like in Alaska. I’ve never been there or anything, I was just curious. I don’t know why. Stop asking. At any rate, I wanted to share with you these incredibly beautiful satellite photos I discovered while scrolling all over our northernmost state. I have no idea where any of them are, as I just took a few quick screen shots. And now, regardless of the weather, the dog has made it very clear that there will be a walk on this cold November morning before I leave for WORK ON BLACK FRIDAY. 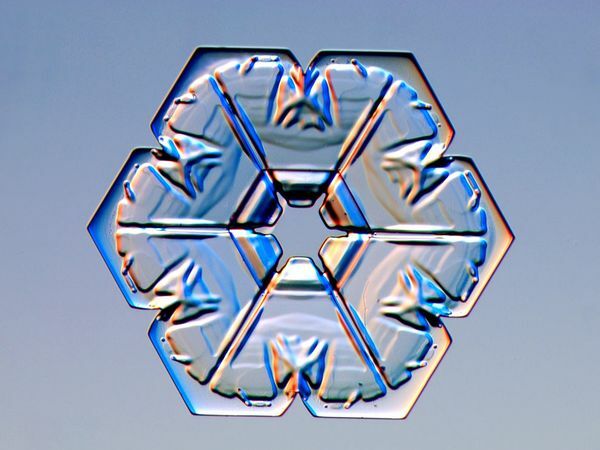 The perfection of a snowflake. Nothing special today, just feeling a little reflective. If you can, spend a few moments just looking at these photos. I feel in awe of the beauty and perfection that nature sometimes can produce in the midst of what seems to be chaos. Tiny bits of frozen water, suspended in time, all of their beautiful limbs so delicate and yet, when combined, so strong. This may be old news but I rediscovered these photos on NatGeo and wanted to link you. When Iceland’s Eyjafjallajökull volcano erupted, photographers caught this amazing lightning that formed in the cloud of ash. Click on the photo for a few others. Anyone got a phonetic pronunciation of that volcano’s name?? Today I hopped onto NatGeo and came across these beautiful photos of northern lights taken in Norway. I immediately realized I had absolutely no idea what the northern lights really are, or how they’re formed. When you think about it, the sun is the only natural cause of light (besides fire anyway), so how do these phantasmal strips of color form, and why do they undulate across an otherwise dark nighttime sky? Since it’s just recently the Autumnal Equinox, let’s celebrate by learning about a little solar activity!